"THE ELEPHANT HAS LEFT THE ROOM"
Cattaneo Commercial have just completed the sale of Elephant House, 28 Lyon Road, Hersham Trading Estate, Walton on Thames, Surrey KT12 3PU. 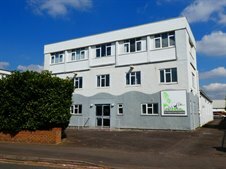 This well presented building comprised 7,700 sq ft, mainly offices with studio space and some storage with a rear yard providing parking for up to 24 cars. The building is now available to let. For further information please contact Andy Armiger on 020 8546 2166 or andy@cattaneo-commercial.co.uk.